Does Magnesium Defeciency Cause Migranes? Migraines are sheer torture for those who suffer them. Excruciating pain from a strong light, sounds or even gentle touch along with a constant head-splitting miserable pain that can drive the victim straight to bed for hours is a typical experience among migraineurs, as they are called. Painful symptoms may or may not be preceded by an aura, which is a visual disturbance that may involve flickering lights, spots, wavy lines, etc. Disturbances of the other senses may also occur. Migraineurs miss an average of 19.6 workdays per year on account of migraine headaches, and this costs employers an average of $3000 per year per employee. The misery of migraines is certainly most intense for the victims but also ripples out to the society at large. Magnesium is now starting to get attention in the natural health press as being helpful for migraines, cluster headaches and tension headaches. One study showed that patients with migraines got almost immediate results for receiving 1 gram of magnesium sulfate intravenously. In 32 out of 40 patients complete elimination of migraine pain was observed within 15 minutes. Other physicians have prescribed oral magnesium oxide or other magnesium supplements, with good but slower effect. Magnesium is one of the most common nutrient deficiencies in the United States. The average American diet is estimated to have only 250 mg of magnesium per day, whereas the average Chinese diet has 650 mg. For therapeutic purposes, it is often enough to dose 400 to 800 mg of magnesium to stop a migraine. There is an observable relationship among some of these symptoms. For example, migraineurs are very often constipated as a rule. Is it that the constipation leads to retention of toxins, which lead to migraine? 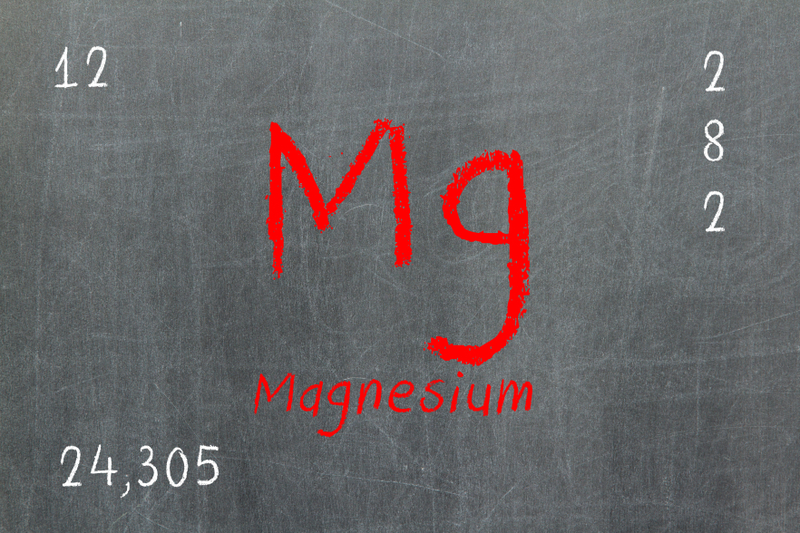 Or is it that both constipation and migraines are resulting from magnesium deficiency? Further complicating the matter is how exactly migraines function, that is the mechanism of migraines. Two main hypotheses exist for how migraine pain occurs. The more recent and popular hypothesis is that there is altered electrical activity in the brain prior to the onset of the migraine, which then leads to less activity of the neurons in a given part of the brain, which then leads to a local acute inflammation that affects the nerve roots. An older hypothesis is that alteration in the diameter of blood vessels is what triggers migraine. Although this hypothesis is not as popular now, it is consistent with lower magnesium levels in the brain. My research in the early 1990’s also supports this older hypothesis. I surveyed figure skaters, both freestyle skaters who incorporate fast spins into their skating, as well as ice dancers, who maintain a similar level of activity, in the same cold environment of the ice rink, for a similar amount of time, among similarly fit people. In other words, the main difference that I isolated is that the freestylists did practice spins, while the ice dancers did not have any such centrifugal effect on their bodies. My hypothesis was that freestylists would experience centrifugation of blood away from the central axis of a spin, whereas the ice dancers would not. We already know that centrifugation of fluid elsewhere in the body occurs during skaters’ spinning. One example involves the sit spin, also known as the “snot spin” by some because the nose is outside of and pointing away from the axis of rotation. At times, the overactive zoom of TV cameras during high profile ice competitions has displayed this mucus-flinging phenomenon to the cringing public. Another example is that high-performing freestylists can spin so fast that it makes their fingers warm and flushed, we can only presume from a flow of blood toward the extremities. As it turned out, the freestylists had a higher incidence of migraine, including migraines that began while on the ice. 22% of freestylists, compared with 4% of ice dancers reported migraines. And 91% of the migraineurs reported a change in migraines while skating, mostly mentioning spinning as having a mostly deleterious effect. How bad can your magnesium deficiency get?… I have been craving it for about 3 months now. Eat it everyday, plus I’ve lost 35 pounds. I eat glutan free chocolate cause I have celiac. So finding food I can eat with having IBS, celiac, bad constipation chocolate, grapes, have been my go to food everyday. Hi Jen, It’s difficult to say without seeing you in person. Chocolate is a good source of magnesium, but often contains a lot of sugar which is why we tell our cancer patients not to eat any chocolate less than 85% and to avoid all added sugar including honey, maple syrup, and fruit juices. Avoiding sugar is crucial for everyone’s well-being, and if you can’t avoid the sweet we recommend using stevia instead of sugar of artificial sweeteners. Other than that would recommend an office consult with a local naturopathic physician, they will be able to discuss your personal situation and prescribe a best course of action. This site may be able to help you find a naturopath in your area http://www.naturopathic.org/ We wish you the best of luck!